PumpWELL has enjoyed a rich history of innovation within the oil and gas industry over the past decade. Creating ground-breaking technology in an industry known for its fondness for legacy systems is something we pride ourselves on and constantly strive towards. This summer, we will be launching a completely new ‘REIMAGINED technology’ platform that will combine the use of machine-to-machine communications, big data, Internet of Things (IoT) and machine learning technologies to help oil and gas producers extract oil from artificial lift wells more intelligently, more efficiently and more cost effectively. Utilizing strategically positioned sensors, advanced analytics and autonomous optimization, our new technology platform is set to revolutionize the way oil is extracted using artificial lift. Intuitive technology systems analyze data and make real-time efficiency recommendations based on predictive data patterns, ultimately increasing the amount of oil produced and decreasing the need for human intervention and onsite repair. The adoption of new technology within the oil industry has traditionally gone hand-in-hand with gut-wrenching costs, achievable only by larger corporations. We set out to change that model. Our new and proprietary platform has been developed to be substantially less expensive than anything else in the market. We have used our deep industry experience and combined that with the latest technologies in order to provide a cutting edge product that simply won’t have a prohibitive cost. The future of industrial technology is coming. The countdown has already begun. 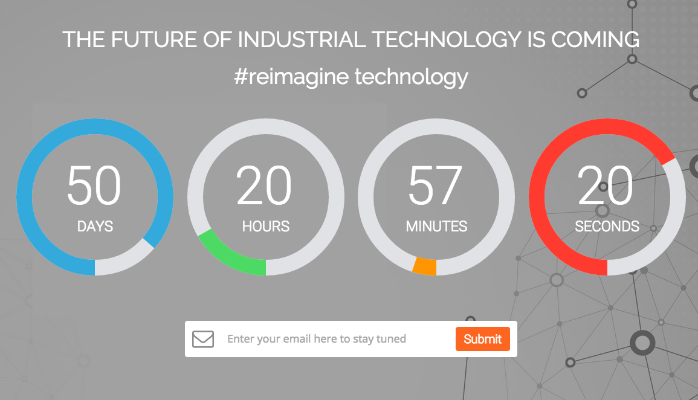 Interested parties are being invited to register at http://reimagine.technology and will receive early and exclusive access to the platform as we prepare for full industry launch in the coming months.